If you are a member of a local food policy council, or a food policy advocates, FLPC seeks your input as we update our 2012 publication Good Laws, Good Food: Putting Local Food Policy to Work for Our Communities. The Good Laws, Good Food toolkit assists local food policy councils and other advocates with understanding the basic legal concepts surrounding the food system, identifying main areas of local food policy change, and providing examples and innovations from other cities to inspire and assist advocates in improving their food system. Please let us know what innovative policy solutions have caught your attention; have improved the food system in your city or state; and/or have inspired change in how food is produced, processed, distributed, consumed, and recycled. 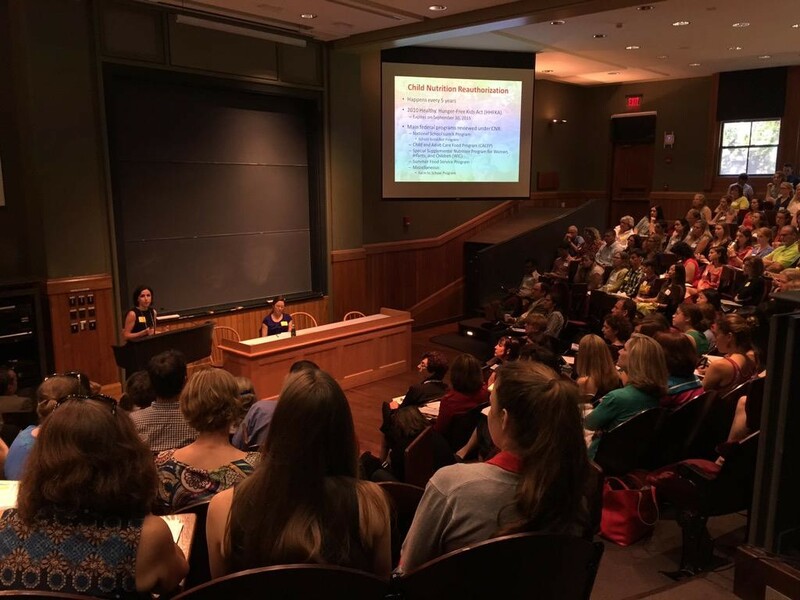 We also welcome any other suggestions for updates to the toolkits via email at flpc@law.harvard.edu. FLPC provides legal and policy guidance to nonprofits and government agencies seeking to increase access to healthy foods, prevent diet-related diseases such as obesity and type 2 diabetes, and reduce barriers to market entry for small-scale and sustainable food producers, while educating law students about ways to use law and policy to impact the food system. With funding from the Town Creek Foundation, we are partnering with the Food Policy Networks program of the Johns Hopkins Center for a Livable Future to update, publish and promote the toolkit. On Monday, July 27, politifact.com reviewed “Last Week Tonight’s” 7/19/15 story on food waste, government regulation, and expiration date labels. The HBO news-satire show included research and quotes from Harvard Food Law and Policy Clinic (FLPC) on its 2013 report, The Dating Game. They conducted their own research into the claims made by the show’s host, John Oliver, and interviewed FLPC’s director Emily Broad Leib for further insight to the issue. While Oliver’s underlying argument for more regulation can be debated, he’s right to say that the federal government doesn’t require expiration dates on food, and state laws filling in that gap are inconsistent. Read the full article from Politifact. Each year, Americans waste 30 to 40 percent of all the food that is grown, harvested and bought. In 2010 alone, the Department of Agriculture’s Office of the Chief Economist estimated that the amount of food loss and waste at the retail and consumer level was about 122 billion pounds, worth about $161 billion. At the same time, close to 50 million Americans (14.3 percent of all households) do not have sufficient access to food because they don’t have the resources to obtain it. Of those individuals, 12.2 million people are eating less than what they need to maintain a nutritious diet, according to data from the USDA’s Economic Research Service. While the two problems are daunting separately, three New England states may have found an avenue to address both waste and hunger at once. Their solution — regulate the amount of food that businesses can throw away, and encourage them to donate the portion that is still wholesome to charity. It’s an approach that U.S. EPA Administrator Gina McCarthy supports. Despite these benefits, fears of lawsuits over spoiled food, coupled with a lack of financial incentives to cover additional labor costs for preparing donations, mean getting more businesses, universities and other institutions to donate their extra food is no small task. Last October, Massachusetts joined Vermont and Connecticut as the third state to restrict the amount of commercial food waste it sends to landfills (ClimateWire, July 21). Under the new Massachusetts Department of Environmental Protection (MassDEP) regulation, businesses and institutions that produce a ton or more of food waste in a given week will have to keep that food out of the trash. The regulation applies to most major supermarkets, colleges and universities, as well as to larger hospitals. Even seasonal businesses may have to comply, according to Lorenzo Macaluso, director of green business services at the Center for EcoTechnology, which is employed by the state to implement the regulation. According to MassDEP, 15 to 19 percent of the state’s waste is unused food, depending on the season. Most of the food that is being diverted is destined to become compost, but groups within the state are working to ensure that more of it goes to Massachusetts residents in need. Sasha Purpura, the executive director of the food rescue program Food for Free, is leading one of those groups. Her program collects fresh food from donors, including wholesale distributors, universities, farms and bakeries, and delivers it to more than 100 food programs in Boston and the greater metropolitan area. Since March, she said she’s seen an increase in the amount of prepared foods Food for Free receives, which she attributes to businesses complying with the new regulations on food waste. “Personally, I think we have a window right now because so many organizations are trying to figure out what to do. If they all turn to compost, it will be a lot harder to get them to change,” she said. Preserving food for donation requires more training and coordination with outside agencies, which can discourage businesses and institutions from participating, she said. That’s where Steve Dietz comes in. Dietz is the business development director at the for-profit company Food Donation Connection. His job is to convince restaurants and other food service organizations that it is in their best interest to donate their excess food and to help them find the easiest way to do that in their area. 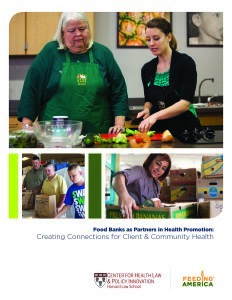 The staff at the Food Donation Connection helps businesses develop a food donation program and connects them with qualified nonprofit agencies, and it will continue to provide support once the program is up and running. That includes helping to create documentation to track donations, providing daily support through a hotline and reporting donations to corporate offices. Since it began in 1992, the company has expanded to work with 18,000 locations, donating food to 9,000 recipient agencies. 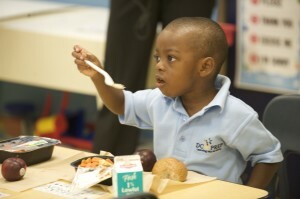 The Food Donation Connection works in all 50 states and has clients in Canada, the United Kingdom and Ireland. “We’re kind of like matchmakers, we don’t pick up the food or touch it, we just manage the connection,” Dietz said. Before any of that work can begin, Dietz has to overcome a few common roadblocks to get businesses onboard. Often business leaders are reluctant to talk about waste because they do not want their board of directors to realize just how much food they are throwing out. Many businesses and institutions are also afraid of lawsuits from recipients who may become sick from the food, according to Dietz. In fact, 67 percent of wholesalers and retailers in the United States listed liability concerns as one of the barriers to donating food, according to a 2013 survey by the Food Waste Reduction Alliance, which is led by the Grocery Manufacturers Association, Food Marketing Institute and National Restaurant Association. Transportation constraints and insufficient cold storage and refrigeration were other main concerns. Yet fears of liability are generally unfounded, thanks to a largely unfamiliar law, advocates say. Under the 1996 Bill Emerson Good Samaritan Food Donation Act, a person or gleaner (someone who picks leftover unharvested food from farms) can’t be held criminally or civilly liable for donating a food or product as long as that person donated it to a nonprofit organization in good faith. The law also protects nonprofits from liability for providing food they believe is wholesome. The only instances where businesses or nonprofits could be at risk legally is if an individual is harmed or dies from a food product due to “gross negligence or intentional misconduct.” State and local laws also take precedence, which has caused problems for Dietz in the past. Last year, Boston’s health officials stopped an estimated 200,000 pounds of Whole Foods hot bar food from being donated because of concerns about the lack of ingredient labeling, according to Dietz. He added that such situations are unusual. “Most of the time, health departments are very supportive; they have hearts, too,” Dietz said. What qualifies as wholesome remains a sticking point for some restaurant and grocery owners who aren’t sure what level of effort they need to make to determine food is safe, said Laurie Beyranevand, the associate director of the Center for Agriculture and Food Systems at Vermont Law School. Beyranevand is studying the barriers to food donation and is specifically looking at why more farmers don’t allow gleaning on their fields after harvest. Then there is the issue of date labeling. Altogether, 41 states have regulations requiring that perishable foods have “sell by” or “use by” date labels, said Emily Broad Leib, the director of the Food Law and Policy Clinic at Harvard Law School. Consumers, businesses and state regulators often treat food close to or at those dates as spoiled, which she said was a mistake. “You shouldn’t fear the date, it’s not a question of safety,” she said, adding that the concerns about the wholesomeness of food can make donating food at or near its expiration date more difficult, particularly in Massachusetts. Even if donating food is legal, the added labor and material costs associated with preserving donations often make it a less attractive option than sending leftover food to a composting facility. To overcome this, Dietz works with businesses to help them apply for tax exemptions that can boost their bottom line. Currently, businesses in the best position to get tax credits from food donations are C corporations. Under the 1976 Tax Reform Act, C corporations can receive a permanent enhanced tax deduction for donating food to either a public charity or private foundation. According to Dietz, his clients can recoup up to 60 percent of their losses, which can offset the added cost of preserving food for donation. Meanwhile, smaller businesses like restaurants and farms have not had permanent tax incentives. This has discouraged some from participating in donation programs, he said. In Massachusetts, state officials are still working to make sure that all obligated parties are complying with the food waste ban, and although many of the big generators are diverting their leftover food, lots still aren’t, Macaluso said. As for whether that food will be donated, it may be too early to tell. Copyright 2015 E&E Publishing, LLC. This article was reprinted from ClimateWire with permission of E&E Publishing. On July 19, 2015, “Last Week Tonight,” HBO’s satirical news program highlighted the enormous problems of food waste, expiration dates, and challenges to donating products to food pantries. Using clips from other news shows and the documentary Just Eat It, Host John Oliver pointed out the negative consequences of the current regulations while lampooning America’s obsession with consumption. At 10:22 minutes into the segment, a clip from Emily Broad Leib’s appearance on the Today show was used to explain how arbitrary and disjointed expiration date labeling policies are nationwide, due to the fact that food manufacturers are in charge of setting the dates for the vast majority of products. See the segment from “Last Week Tonight” below. Kirsten Van Fossen is a first-year PhD student from the University of Cambridge Department of Engineering, where she researches with the Centre for Industrial Sustainability. In her project, Kirsten is taking a systems engineering approach to investigate how actors within the industrial food system and healthcare system might further integrate to help shift consumers towards healthier diets and improve public health. The project aims to elucidate the implications for the three key dimensions of sustainability—social, environmental and economic. Her research strongly ties into CHLPI’s Food is Medicine work. Kirsten’s interest in sustainability as it relates to food and health follows from a long time professional interest in sustainability paired with a personal interest in nutrition. Before starting her PhD, Kirsten’s work primarily focused on the environmental dimension of sustainability. 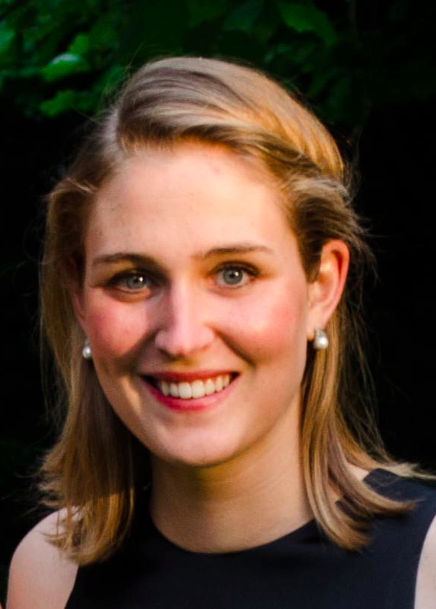 From 2013-2014, Kirsten worked on a sustainable aviation fuels initiative with the Energy Analysis and Sustainability Division at the Volpe National Transportation Systems Center in Cambridge, MA. In the year preceding her work at Volpe, Kirsten researched water filtration, wastewater treatment, and water reuse topics with a team of academic researchers at the University of Sao Paulo’s International Reference Center for Water Reuse. Her water engineering research in Brazil followed from her BSc thesis, in which she designed and evaluated a carbon-nanotube/polymer hybrid water filtration membrane. Kirsten graduated with a BSc in Environmental Engineering from Harvard in 2012, where she also competed on the varsity rowing team. 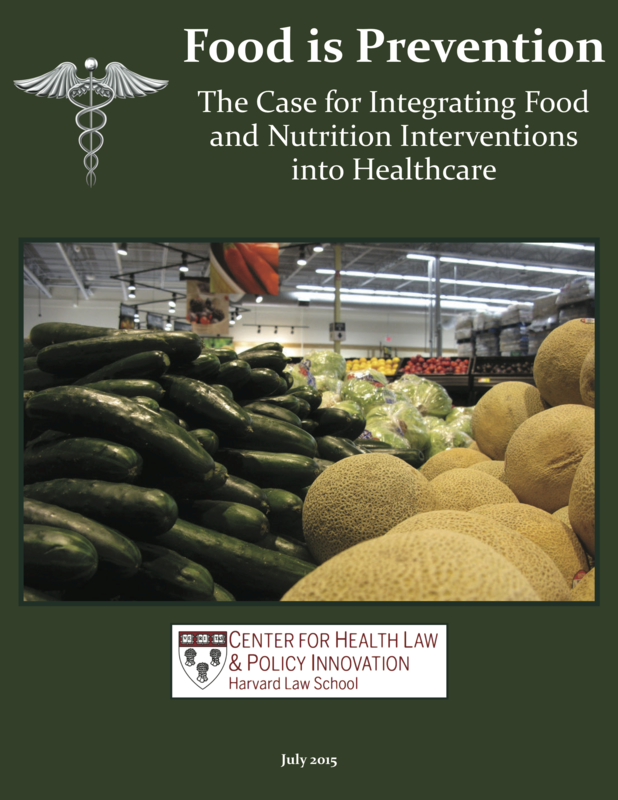 CHLPI has just released a new report, Food is Prevention: The Case for Integrating Food and Nutrition Interventions into Healthcare. Chronic illness is taking its toll on the health of America. Half of all adults in the United States have one or more chronic illnesses. The financial toll of chronic disease on the economy is staggering. 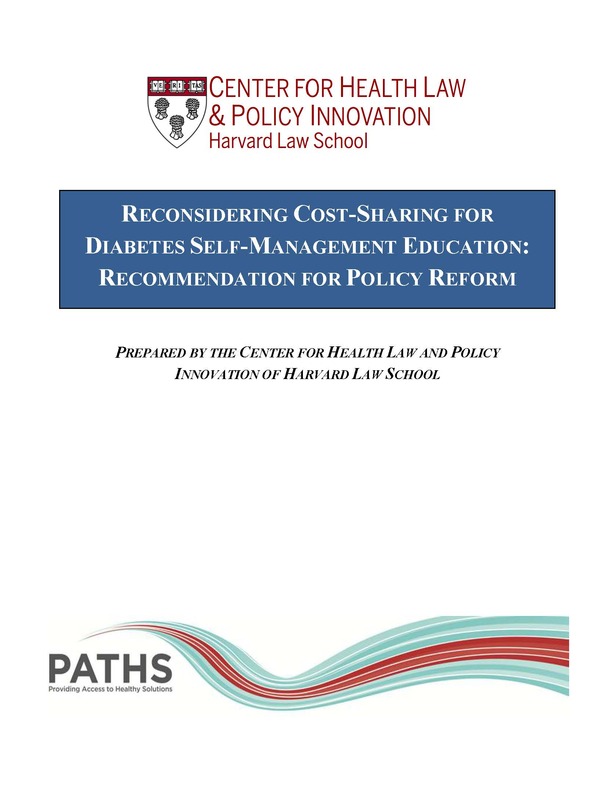 In 2007, the Milken Institute attributed an estimated $1.3 trillion to costs of chronic illness-related medical care and productivity loss, and projected that costs could reach $4.2 trillion by 2023. Food can and should be used as a medical intervention to prevent chronic illness or to mitigate the symptoms and complications that accompany the diagnosis of diet-related and other chronic diseases. Specifically, food and nutrition interventions that facilitate or encourage the consumption of foods that are appropriate for identified health conditions or disease risk factors should be fully integrated into healthcare. The report explores the link between food and diet-related disease and discusses nutrition interventions that could be further integrated into delivery of healthcare to advance the goal of preventing or mitigating chronic diet-related disease. It also examines the role food plays in several prominent diet-related chronic illnesses, shares examples of food and nutrition interventions currently underway across the United States, and offers recommendations to integrate food interventions into healthcare delivery in order to improve health outcomes and reduce costs. Read Food is Prevention: The Case for Integrating Food and Nutrition Interventions into Healthcare. The Economist: Is Lemonade Legal? Americans increasingly like to buy local food. The number of farmers’ markets offering local produce, cakes and jams around the country has more than doubled to nearly 8,300 in a decade. Sluggish job growth has also encouraged more people to start home-based businesses. But regulating the sale of goods made in ordinary kitchens is a “grey area”, says Emily Broad Leib of the Harvard Law School Food Law and Policy Clinic. So states are passing “cottage-food laws” allowing people to sell “non-potentially hazardous” foods, such as baked goods and almost anything canned, from their homes. But the rules are often odd or fussy, and no two states are alike.